No luxury home would be complete without a fireplace, which is why modern interior designs normally include two or three located throughout the home. When the temperature drops, they help keep your home warm and cozy but they also help create a peaceful environment where you can relax and enjoy your time at home. If you’re in the mood for a little romance, there’s nothing more romantic than sipping on your favorite beverage while sitting together in front of an open fire. Don’t forget to put on some soft music and turn the lights down low. It’s also a great place to curl up with a good book or to sit with loved ones and share the events of the day. There are three main types of fireplaces to choose from, so you have to decide which one is right for your home. Which Type of Fireplace Suits Your Home the Best? Wood Fireplaces– The wood burning unit is the original type of fireplace and they provide the most warmth. The sound of the fire crackling and glowing flames create a peaceful atmosphere but they also require the most maintenance. You’ll need to have the chimney cleaned yearly and buy wood. Gas Fireplaces– The gas units closely resemble the wood burning fireplace with real flames but without all the hassles. However, you will need a professional to install the unit and schedule routine inspections to avoid gas leaks. Electric Fireplaces– The electric fireplace is a great choice for homeowners who want to keep their interior design as eco-friendly as possible. They don’t produce real flames but they do put off heat. There’s a lot to consider when choosing a fireplace for your luxury home design but here at J. 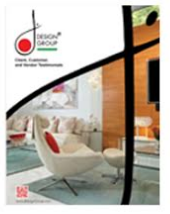 Design Group we can go over your individual needs and help you choose the best option for your luxury home. Our professional designers can also help you determine the best location for the fireplaces when creating your interior design plan. If you choose to install the wood burning fireplace, there are a few safety rules you need to follow. Being aware of these in advance will help you decide if a wood fireplace is the best option for you or if you would be better off choosing a gas or electric one. Hire a certified chimney sweep company to clean your chimney each year before building that first fire to remove all of soot and debris collected from the previous year. Only burn natural seasoned wood that is dry and cured for at least six months. Green wood creates excessive creosote creating a fire hazard and treated or painted wood releases harmful chemicals into the air. Only use log starters to get your fire going because using anything else could result in flames shooting too high or the fire burning too hot. Keep the fire low to avoid excessive smoke and creosote buildup and to reduce the risks of it getting out of control. Always use a glass or metal mesh spark guard to prevent the embers that sometimes shoot out of the flames from igniting furniture or other items in the room. Keep all furnishings at least three feet away from the fireplace to keep from catching fire. Following these safety tips will help keep your family safer when burning wood. If you choose a gas or electric fireplace, schedule regular inspections to ensure your unit is working properly.